Pacific Peace - What are Binaural Beats? As in the September newsletter, binaural beats are the vibrations created when 2 slightly different frequency tones are heard by the human ear, but only with headphones. Your brain perceives a beat and produces a frequency pulsation similar to the alternating tones. This experience induces feelings of relaxation, meditation, creativity and other mental states. Prussion physicist Heinrich Wilhelm Dove discovered this phenomenon in 1839 and has received attention only in the last 30 years. I learned the importance of this many years ago as it helped me to count down into Theta state almost instantly. I am very excited to offer this tool to help you achieve the perfect state of hypnosis to accept the positive statements made to help you. 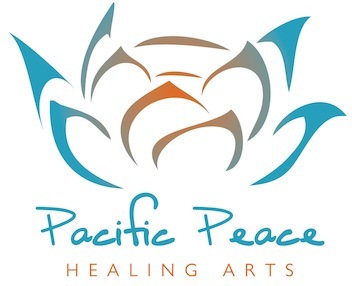 The beats in Pacific Peace Healing Arts recordings are identified on each description with 4 – 8 Hz and are set to a very low volume. The binaural beats used in my revised recordings have been clinically shown to reduce physical ailments as the brain relaxes into the Alpha and Theta states of mind. You have a choice to either experience the effect of the subliminal beats with headphones or to listen without headphones and no effect.